Set against the conflicted backdrop of the 1860s Wild West, Switch United’s interactive companion to Strange Empire brought TV and digital teams together to explore one of the most memorable characters from the series – young frontier surgeon, Rebecca Blithely. An observer of people, and collector of things, each of Rebecca’s 13 artifacts is introduced on a TV episode, with the corresponding backstory brought online, taking the audience deeper into her complex mind and troublesome history. Awards: Winner of a Gracies Award from the Alliance for Women in Media Foundation for ‘Outstanding Website’ (awarded Los Angeles, May 19, 2015). Rockie Awards Nominee, Banff World Media Festival, June 7-10, 2015 for ‘Best in Interactive Fiction’. In an ambitious online execution that involved months building up to the airing of Canada’s 100th Grey Cup football game, Switch United complemented eight award-winning documentary films commissioned by TSN with 92 additional stories online. 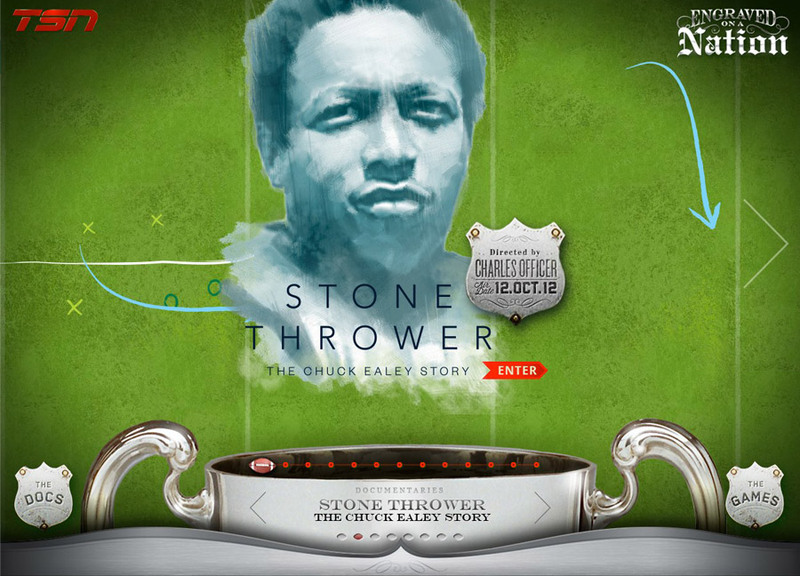 The result included background interviews with the filmmakers, comprehensive stats, historical game clips, fun facts and crazy trivia around the almost 100 years of football history in Canada. 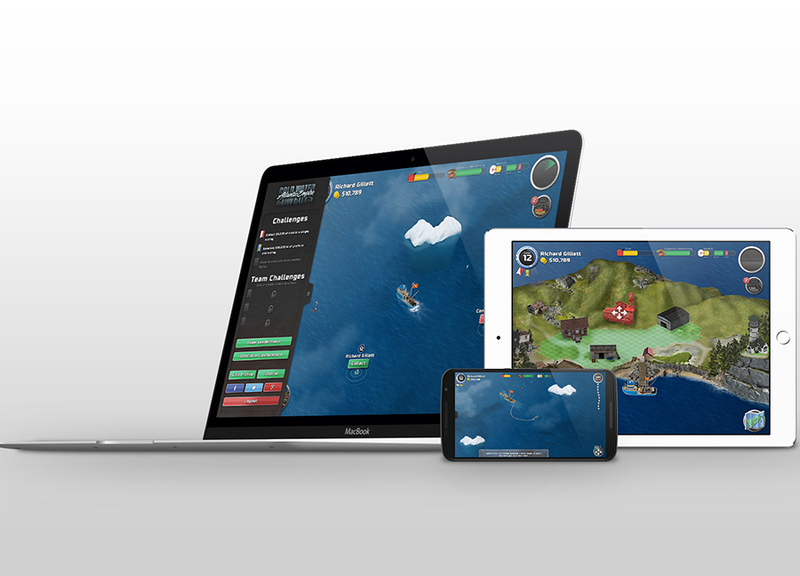 An interactive companion feature to Season 2 of Cold Water Cowboys on Discovery, Atlantic Empire is an immersive multiplayer HTML5 gaming experience that captures the essence of a high-stakes Newfoundland fishing adventure with a combination of both strategy and skill-based gameplay, including video and text information about show characters and locations. The game includes levels, a leaderboard, team-based challenges, and strong social media tie-ins. 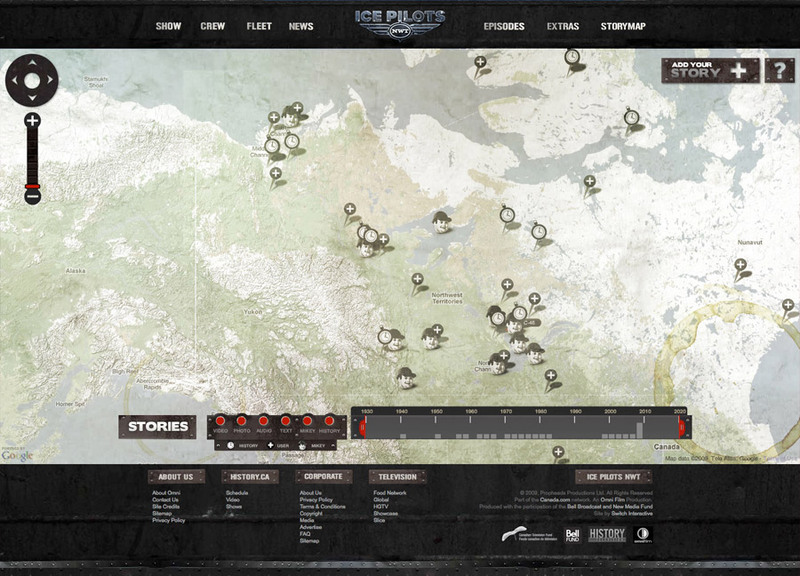 For seven seasons, and through numerous successful Bell Fund applications, Ice Pilots NWT’s loyal viewers tuned in to the exploits of this maverick airline in Yellowknife with its working vintage planes and eclectic real-life characters. Each season, Switch United worked to extend the audience experience online – from the early years live geo-tracking planes and building story maps powered by Google, to the popular collection game, Air Hunt, to strong social media tie-ins that built community and demand for the show in other markets. 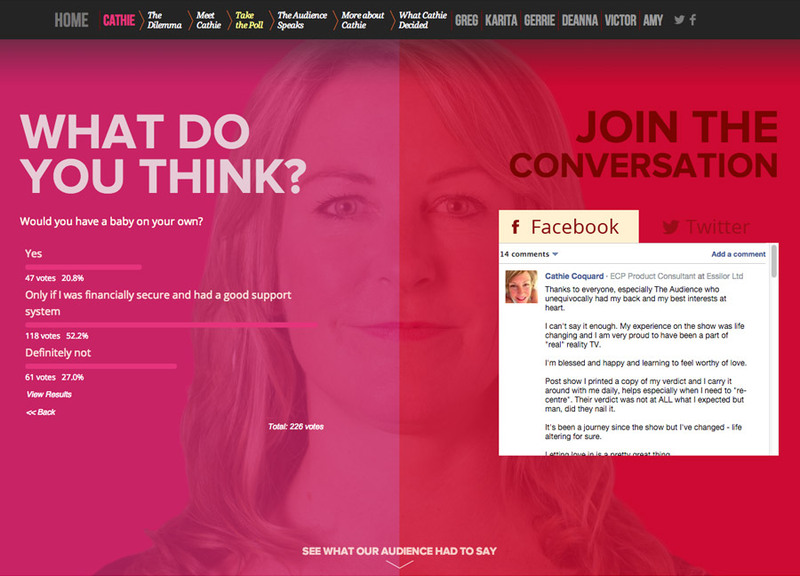 The Audience brings the concept of social networking to television, exploring the question: “Can the wisdom of the crowd change a person’s life for the better?” For the interactive companion, Switch United created unique webisode content for Season 1 that mirrored the inspiring series format. As 50 ordinary people from diverse backgrounds physically follow each episode’s individual dilemma, online we follow Amy, weighing in on social media to help her make a decision at this critical crossroad in her life. Season 3 featured real life Jamie Davis Heavy Recovery & Rescue on one of the harshest highways on the continent – the mighty Coquihalla. 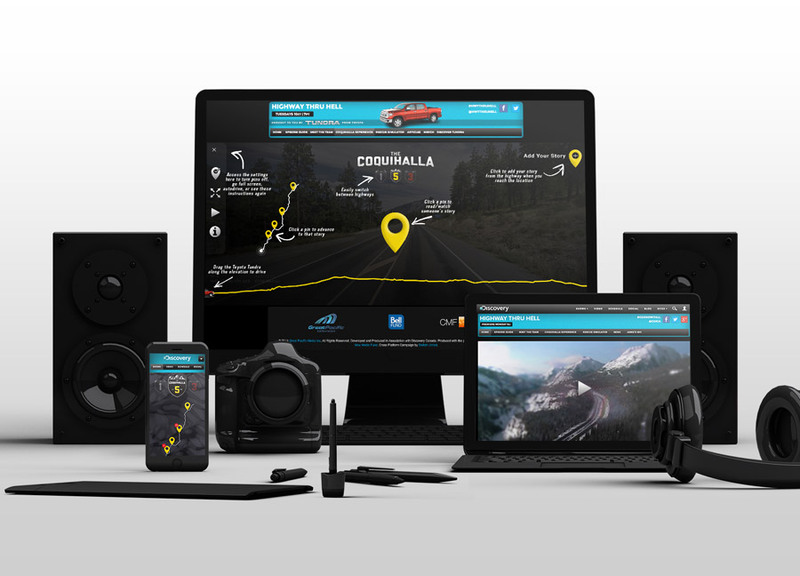 Switch United built an immersive site that allows users to explore over 1000 kilometres of unforgiving road, contribute their own highway stories, pinpoint locations from each TV episode, and step into a ‘Rescue Simulator’ experience to test knowledge on clearing difficult wrecks. What exactly is a portrait? A frozen moment in time? Or a story that unfolds to embrace the sounds, images, and artifacts that make up an individual’s life? 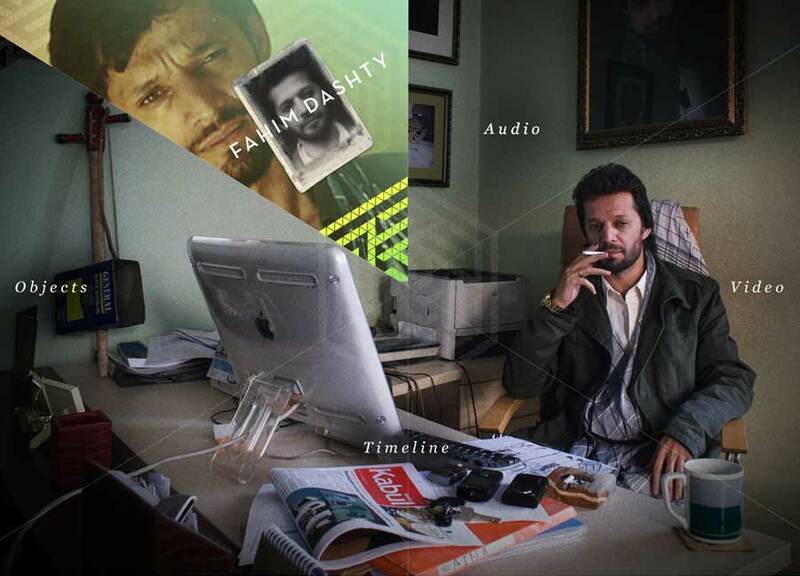 This is the exploration that stands at the heart of the NFB’s window into the lives of six important creative individuals from Kabul, captured by Emmy award-nominated Afghani filmmaker, Ariel Nasr, and brought online in an explorative format by Switch United.